Ria Loves Pawlish: Now At Ulta... 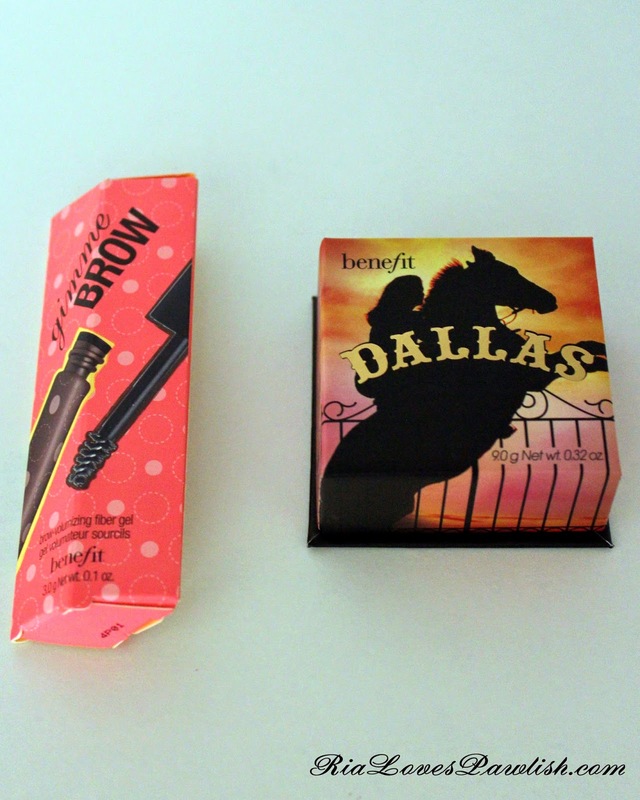 Benefit Glamboree Gift Set With $40 Benefit Purchase! Now At Ulta... 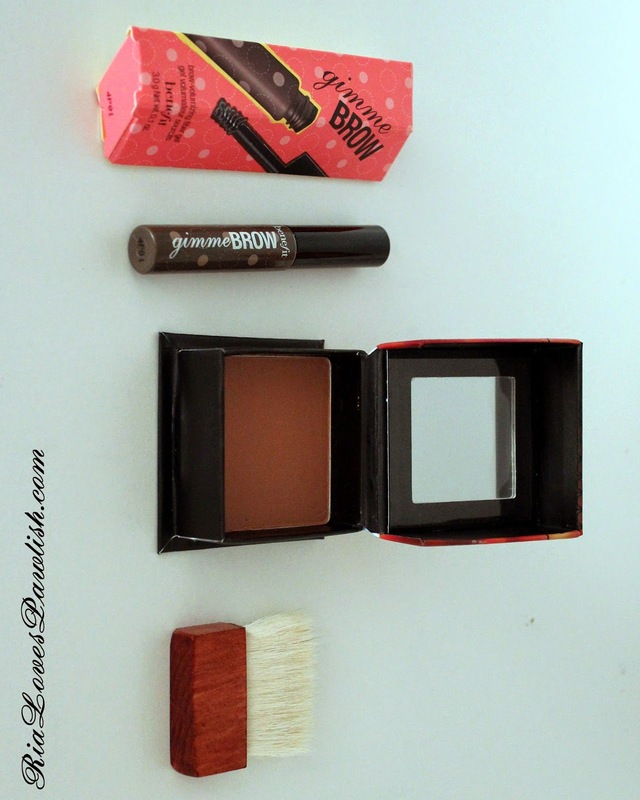 Benefit Glamboree Gift Set With $40 Benefit Purchase! i originally stopped by the counter to check out the new They're Real! Push-Up Liner... gel eyeliner in pen form! it's pretty genius. it doesn't launch until next Friday, so i'm on the reservation list... this thing is just too cool to resist! the Benefit girls were absolutely amazing, which really made for an awesome experience. i was really hoping one of their foundations would work for me, but they all seem to pull too yellow on me... such a bummer. 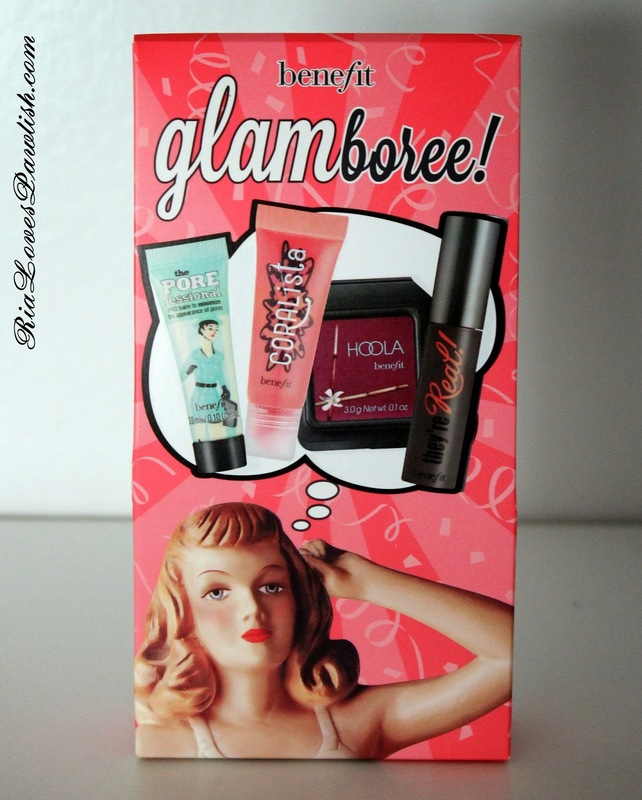 here's a look at the Glamboree set packaging... and adorable cardboard bag! 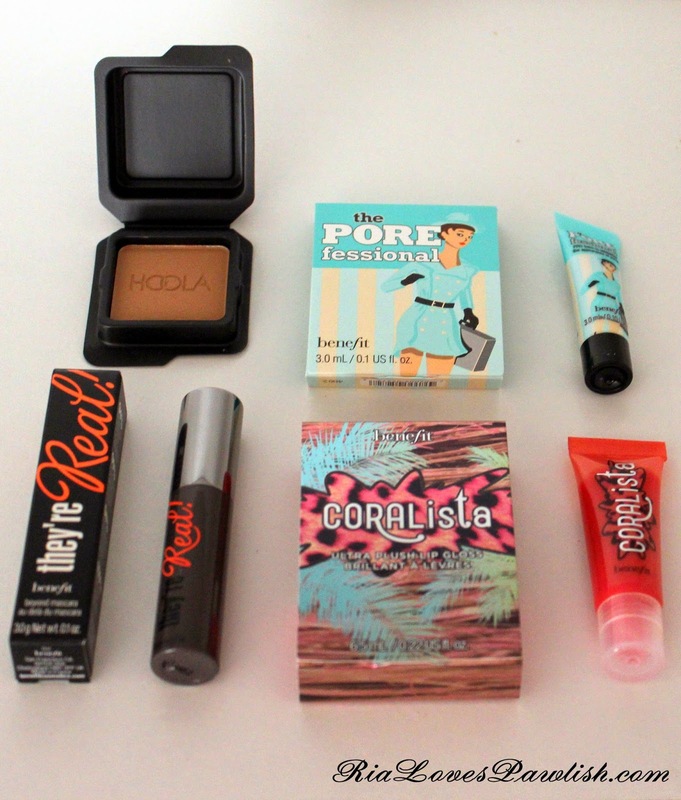 they all come in cute little cardboard packages... except the Hoola bronzer, which comes in plastic. 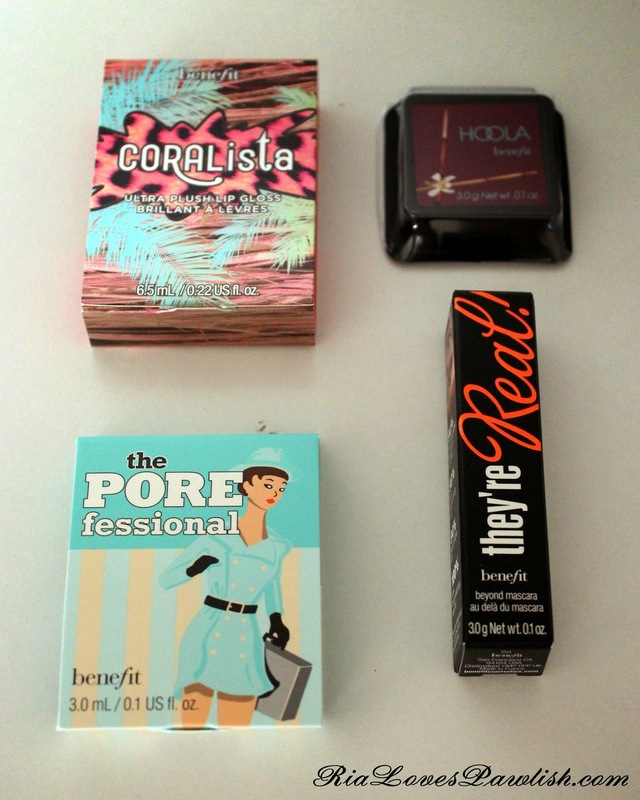 and here's a look at the products themselves! Dallas is a bit less brown than it looks in the photo, and it actually pulls more pink on me than some people (or so i'm told :) ) the Gimme Brow is so cool... it's a tiny little spoolie and somehow the product makes your eyebrows look amazing... i've been losing a lost of brow hair and i was blown away by how easily it made my brows look full. as always, let me know if you'd like full reviews on anything! i would go ahead and take advantage of this deal if you're interested, i can't find anywhere that says when it's over, just that it's 'while supplies last'. let me know if you pick it up!